Arc de Triomphe is recognized as the most famous iconic status, apart from the Eiffel Tower in Paris, France. 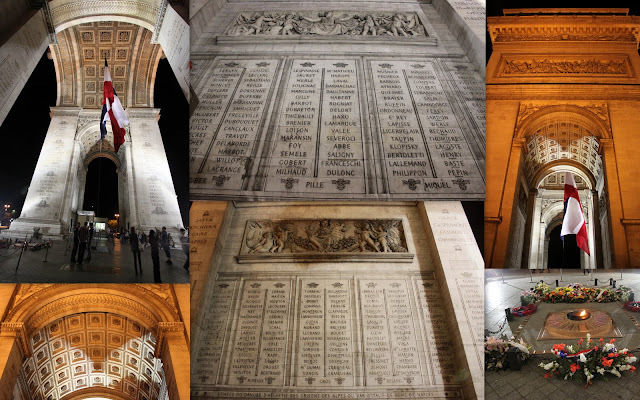 Your trip to Paris won't be completed without visiting the Arc de Triomphe, which was built during the era of Emperor Napoleon in 1806 to commemorate France's soldiers from the Napoleonic wars. As the Arc de Triomphe is situated in the center of the busiest roundabout in Paris downtown, you can get to the Arc de Triomphe by accessing through the underpass from the Champs Elysées. DO NOT TRY TO CROSS THE BUSY ROUNDABOUT! The vehicles won't stop for pedestrians whoever try crossing the roundabout. You can roam around the ground level of the Arc de Triomphe since it's free for everyone. 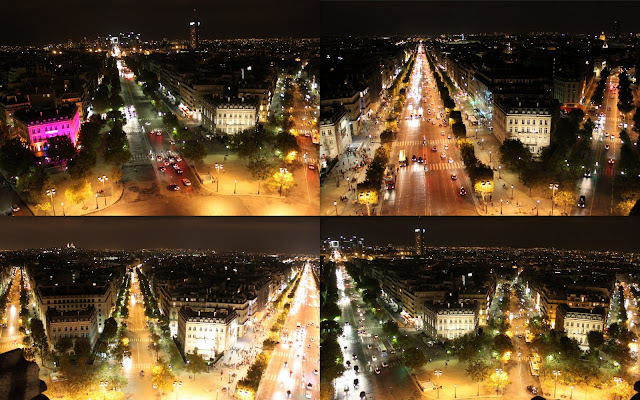 However, if you want to see the beautiful city lights in Paris downtown, you can access to the top level, which is also known as observation deck of the Arc de Triomphe. There is a very limited mobility to access to the top level of the Arc de Triomphe. You need to climb 284 steps on the spiral stair. It's highly recommended to wear sports shoe or comfortable flat shoe. When you plan to get to the ground level of the Arc de Triomphe, you don't have to walk on the spiral stair again. You can access the elevator, which is located opposite the gift shop on the top level. This elevator is operated by a staff to take visitors from the top level to the ground level only. Arc de Triomphe is open from 10am to 10pm every day. You can purchase ticket to the top level (observation deck) at the ticket booth on ground level of the Arc de Triomphe. Walk underpass at the end block of shop building of Avenue des Champs-Elysees in order to cross the busy roundabout. Normally I don't learn article on blogs, but I would like to say that this write-up very compelled me to check out and do so! Your writing style has been amazed me. Thanks, very great article.